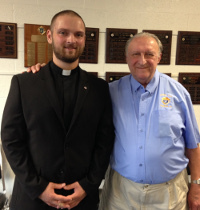 Joining our local council of the Knights of Columbus can change your life. As a Knight, you have the opportunity to strengthen your parish, give back to your community, grow in your faith and gain exclusive access to our portfolio of top-quality insurance products to financially protect your family. But joining us does not mean that you need to sacrifice quality time with your family. By volunteering an hour here or an hour there - with your family - you can make an enormous difference in your life and in the lives of others. The following are a few of the benefits that Knights of Columbus members and their family enjoy. COLUMBIA MAGAZINE - Free subscription to the Order's monthly magazine examining issues of concern to Knights, Catholics and families. KNIGHTS of COLUMBUS ROSARY - Blessed by the supreme chaplain, presented during the First Degree exemplification to each new member. DAILY MASS OF REMEMBRANCE AT ST. MARY'S CHURCH - Mass for deceased members and their wives, and deceased members of the Squires program, at birthplace of the Order. INSURANCE - Portfolio of top-quality life insurance, long-term care, and annuity products exclusively for members and their families. FAMILY FRATERNAL BENEFIT - For eligible families: a) Pays $1,500 for the child who dies before the age of 61 days; b) Pays $750 for the child who is stillborn at least 20 weeks after conception; c) Offers guaranteed-issue insurance up to $5,000 to any child under age 18. MEMBER/SPOUSE FRATERNAL BENEFIT - Accidental death coverage for member and spouse at no cost. WIDOW BENEFITS - a) Continues to be covered under the Member/Spouse Fraternal Benefit; b) May purchase life insurance, long-term care insurance, or annuities up to one year after insured member's death; c) Receives a free lifetime subscription to Columbia; d) Eligible with her children for scholarships, student loans, etc. SCHOLARSHIPS - Scholarship programs for higher education available to members, their spouses and children. LEADERSHIP DEVELOPMENT - Opportunity to build personal leadership skills, public speaking ability, organization skills, etc. FOURTH DEGREE - Eligibility to join the "Patriotic Degree." MEMBERSHIP CARD - Entitles participation in all Catholic, fraternal and social activities in over 14,000 councils throughout the world. ACTIVITIES - FAMILY/YOUTH/RELIGIOUS/SOCIAL/ATHLETIC - Participation in a variety of programs and activities conducted by local councils. 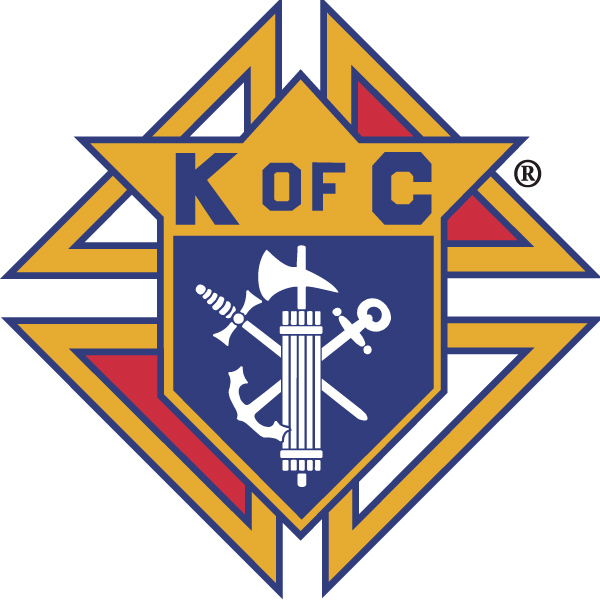 If you are interested in joining the Knights of Columbus or if you would like more information about us and what we do, you can call us at (937) 878-2909 and leave a message. Please make sure that you leave your name and a call back number and what time may be good to reach you. 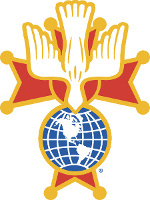 If you prefer, you can email us at Grandknight@3724kofc.org. Any Third Degree member in good standing (dues paid up to date) is eligible for membership in the Fourth Degree. The primary purpose of the Fourth Degree is to foster a spirit of patriotism. Local Fourth Degree groups are called Assemblies and their members are most visible as they participate in parades with their swords, colorful capes and chapeau's. Fairborn Council 3724 hosts the meetings of the Msgr. Buckley Fourth Degree Assembly in their chambers. The Assembly meets on the Second Monday of the month at 7:30 PM.